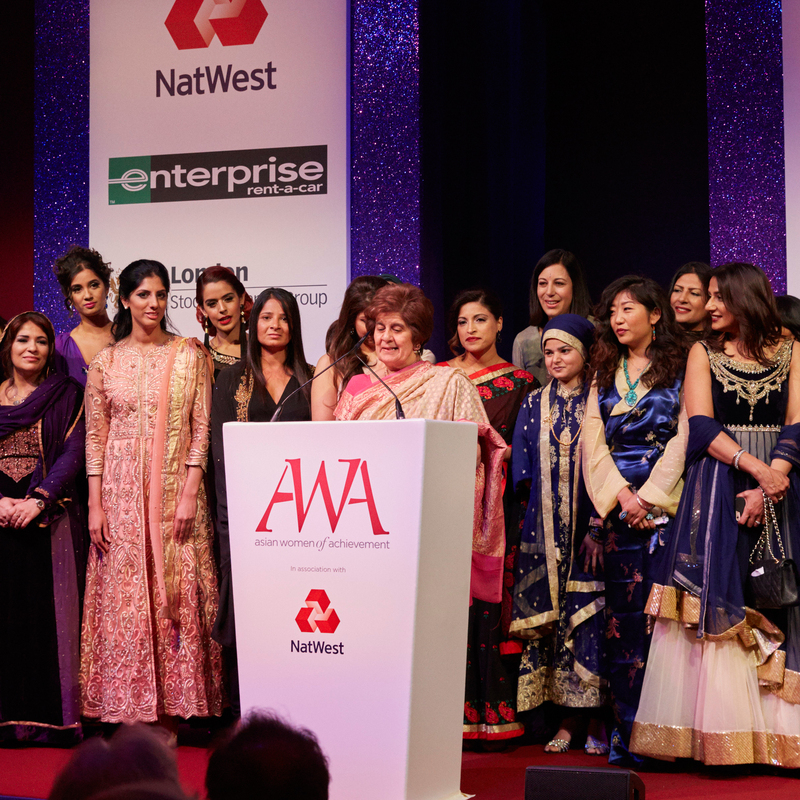 It was an evening of glitz glamour, but most of all celebration, at the 18th annual Asian Women of Achievement Awards at the London Hilton, Park Lane, last night. 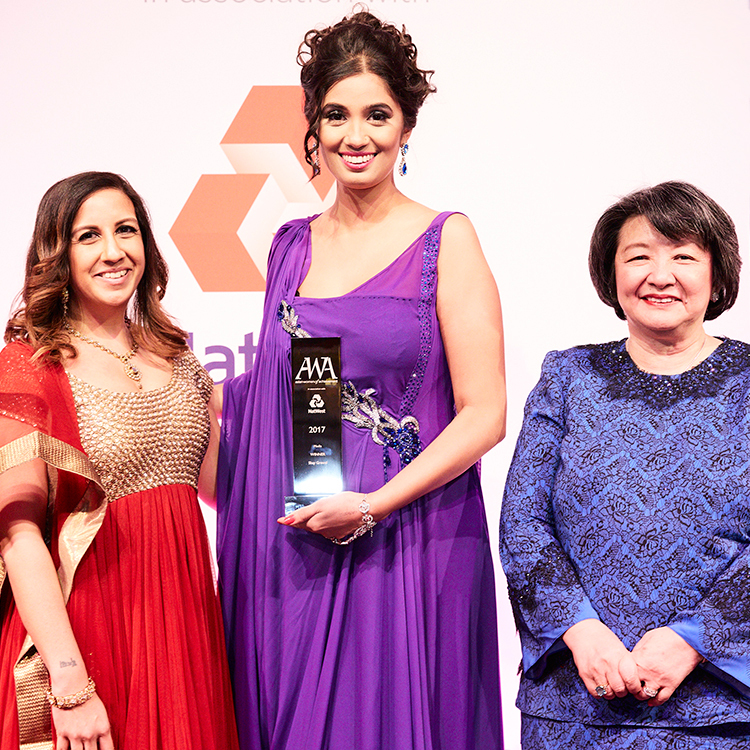 The awards, founded by Pinky Lilani CBE DL in 1999, celebrate multicultural Britain and the contribution of diverse cultures and talents to UK society. 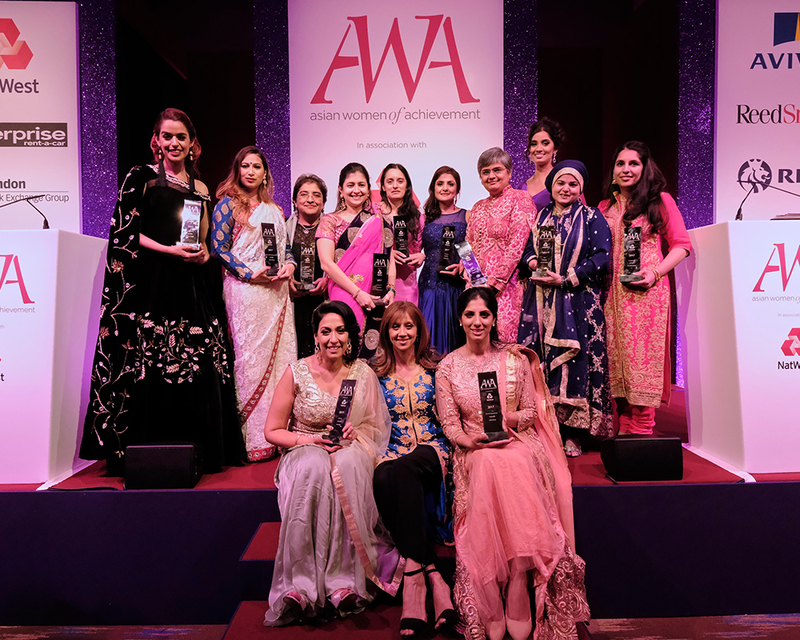 The crème de la crème of British Asian female talent was celebrated throughout the course of the evening, with 12 winners honoured for their services in categories such as business, entrepreneurship, arts, science, sport and public service. 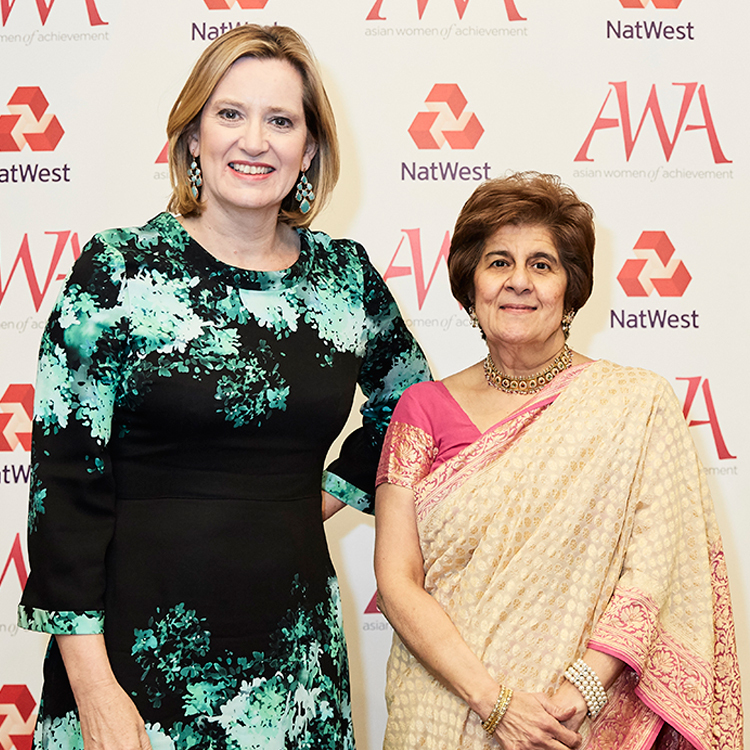 Team AWM were honoured to accept an invitation to this prestigious event, where award hosts included HRH Princess Badiya Bint El Hassan of Jordan, Home Secretary Amber Rudd, Labour MP Diane Abbott, Cherie Blair and shoe designer Jimmy Choo. 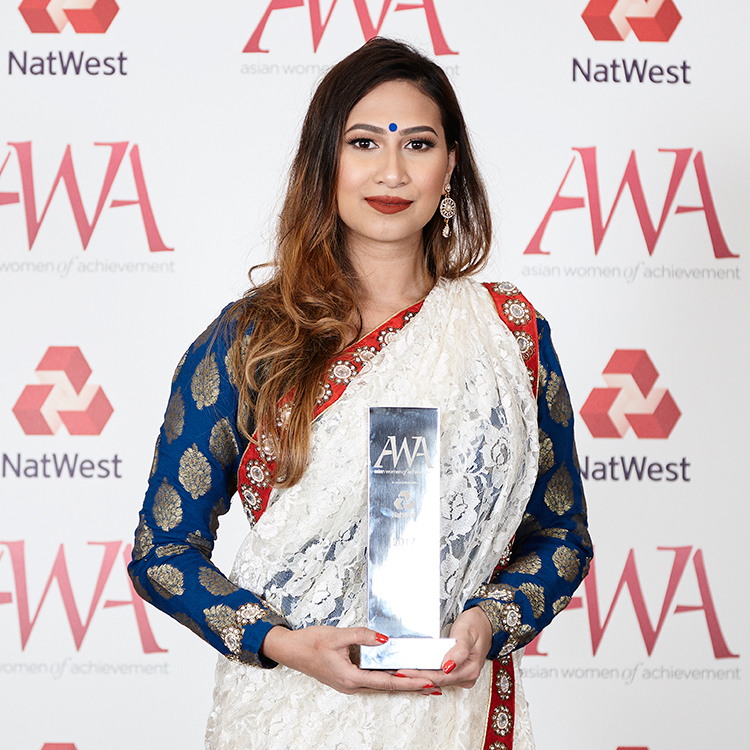 Being the business-mad obsessives that we are, we were particularly interested in the Entrepreneur Award, the winner of which was Sunaina Sinha. 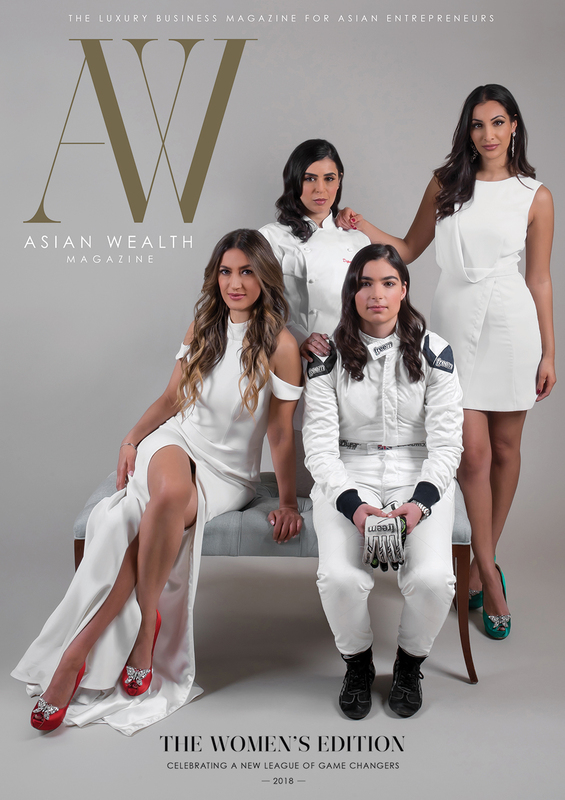 Sunaina is the managing partner of Cebile Capital and the only female founder of a private equity advisory business in Europe. 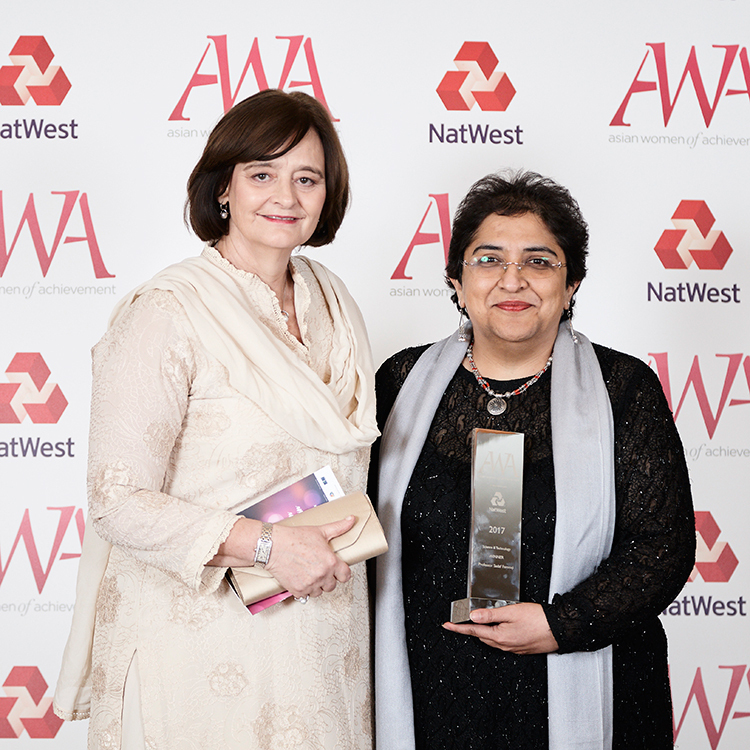 She has paved the way for women in the private equity industry, where currently less than 7% of senior positions are held by women. And, under her leadership, Cebile Capital has tripled in size over the last two years. We look forward in watching her career progress over the coming years. There were a couple of standout moments from the night. 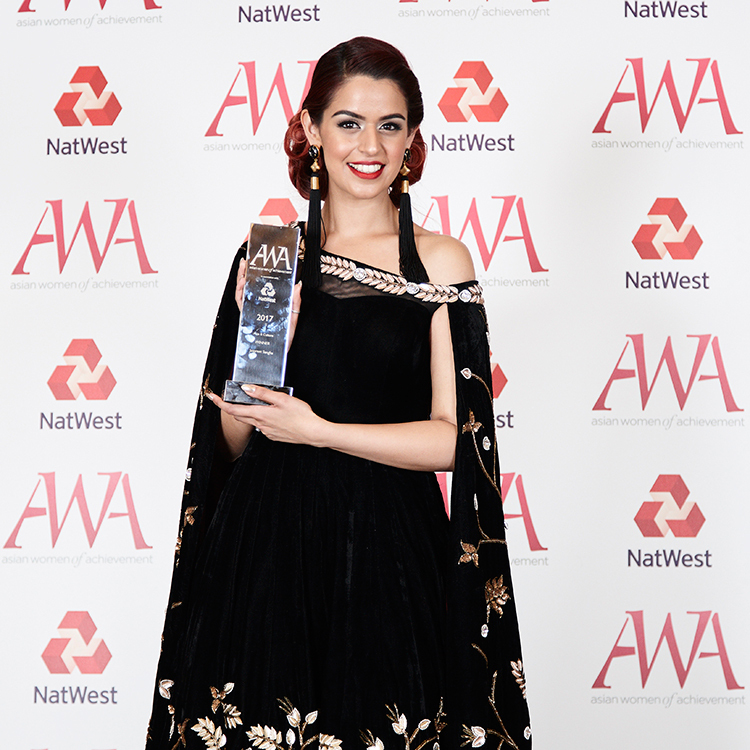 Firstly, spoken word artist Jaspreet Sangha, winner of the Arts & Culture award, gave an impromptu and show-stopping recital of her feminist poem “I am” during her acceptance speech, which had the whole room in rapture. 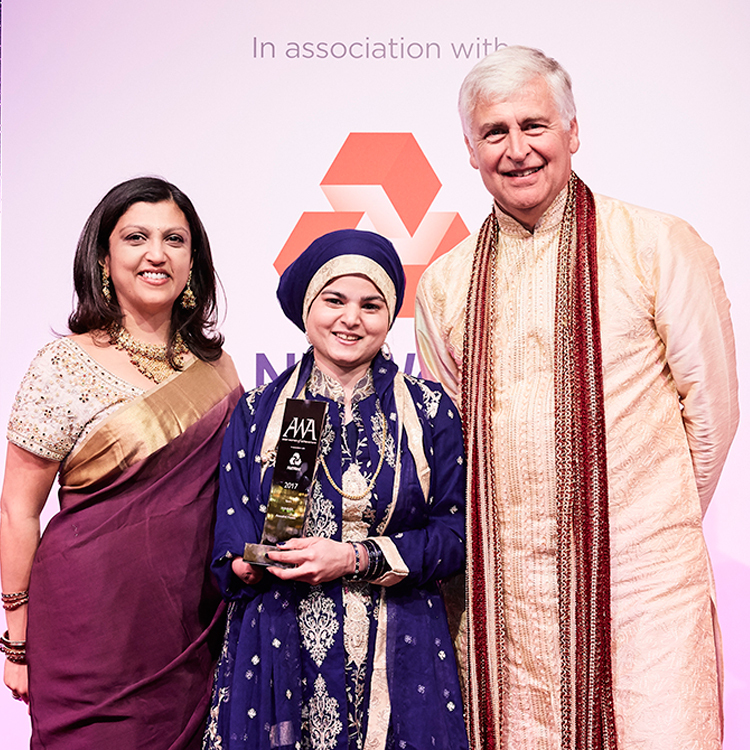 Secondly, the recipient of the Chairperson’s Award, Fatima Zaman, who works with the Kofi Annan Foundation and the Home Office, had the room in tears with a heartfelt speech on the dangers she faces every day in her quest to empower young women to prevent and counter extremism in their own communities. The night was one of female empowerment, proving that with hard work, passion and dedication, women can continue to break down barriers and shatter glass ceilings. Truly inspirational.